Following on from an encouraging season start in last month’s Santos Tour Down Under, Robert Gesink will return to a race he won in 2011 when he lines out in next week’s Tour of Oman. The Dutch climber was sixth in the Australian WorldTour event and believes that he can perform in the ASO-organised event. “I had a good time in Australia, but when I returned to Europe I suffered quite a bit because of the jetlag,” he explained. The Tour of Oman is much hillier than the nearby Tour of Qatar, and will suit his abilities well. He also enjoys the heat and will start with good morale. He will be joined by a solid Belkin line-up, with Jetse Bol, Lars Boom, Stef Clement, Jos van Emden, Barry Markus, Maarten Tjallingii and Robert Wagner also down to ride. Directeur sportif Jan Boven will make the trip from Qatar to Oman, as will several of the riders. He outlines the approach the team will take. “We’ll see how it goes day by day. With Robert, we have a strong rider. For him, it’s important that he doesn’t lose time until the fifth stage, which finishes on Green Mountain,” he said. As for the flatter stages, he stated that Markus will take the protected sprinter slot which was occupied by Theo Bos in the Tour of Qatar. 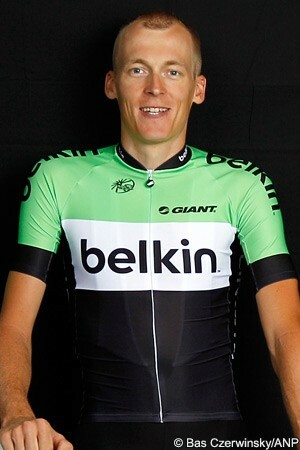 Together the two riders will hope to secure important early-season success for the Belkin team, which is still chasing its first win of the year. Jetse Bol, Lars Boom, Stef Clement, Jos van Emden, Robert Gesink, Barry Markus, Maarten Tjallingii and Robert Wagner.